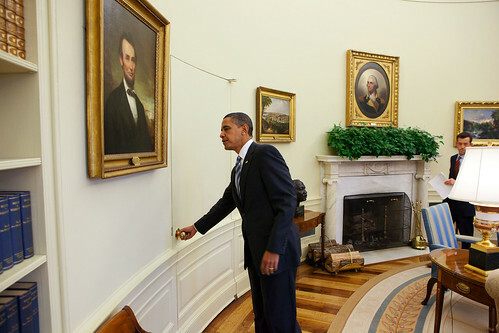 President Obama wistfully looks at the portrait of the last non-crazy Republican. Lincoln: Barack, you don't have to ask every time. It's OPEN, man.